Finally, all three Suspect 7 are complete. 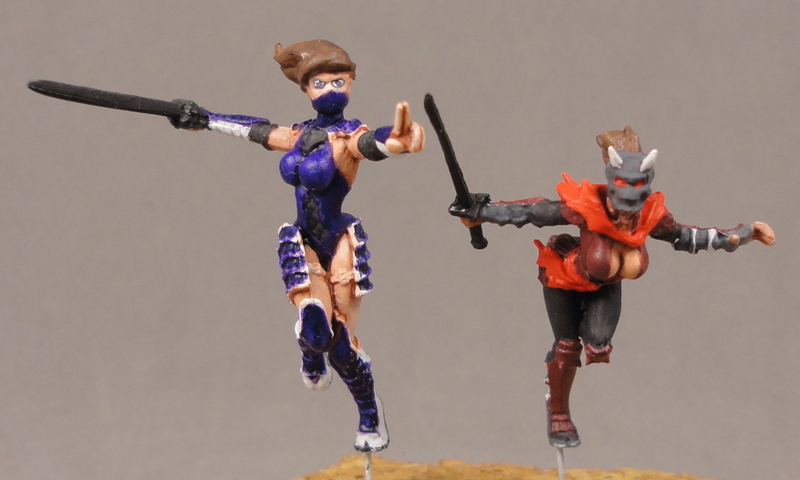 I’m not sure why I got bogged down by this trio, though poor details on the minis were definitely a factor. I hear they’re a great unit, so I’m looking forward to fielding them. Suspect 7 #1 has been finished. 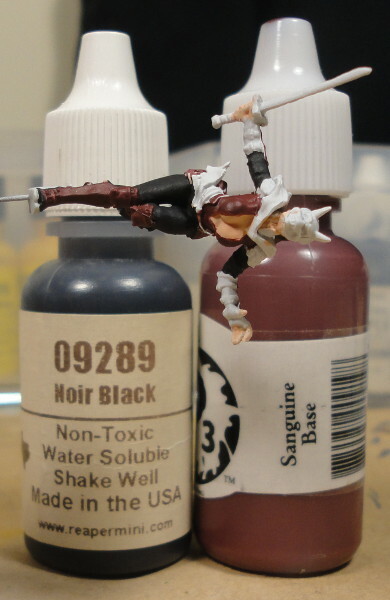 Suspect 7 #3 has some shading and highlighting done (no pictures). A slow slog to the finish. As soon as I “have” to do the mini, it becomes a chore. 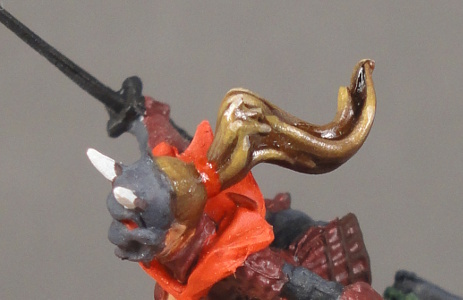 Suspect 7 #1 is done except for sword and dullcoat. I never thought I’d use Breast Cancer Awareness Pink in any serious context, but it made a nice contrasting color to the dark purple. Her socks are white+a smidge of the same pink. Suspect 7 #3 has hair done. Suspect 7 #2 has been finished. 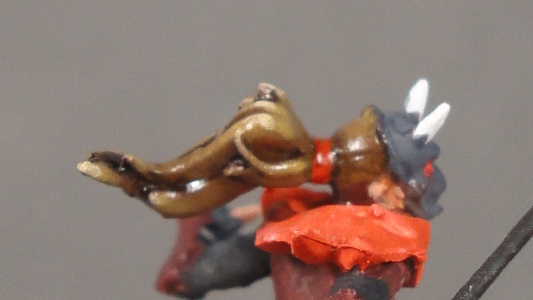 Suspect 7 #1 has skin/eyes done. Suspect 7 #3 has skin done. 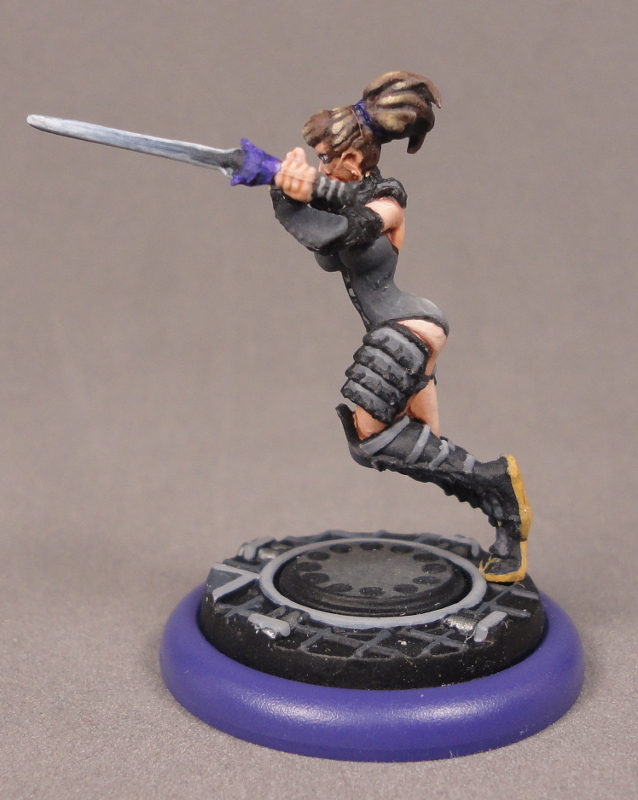 I decided that Warlord Purple was just too bright for a ninja, so I repainted #2 in the standard Black Diamond array of grays. #1 got a coat of Vallejo Game Ink (Violet). They all got Pure Black on their swords and a few other bits. Suspect 7 #3 got her colors picked out. No other progress. This will be the shadow color, I will mix in white to get a pinkish/purplish mid tone. I started to put some colors down. Skin, hair and leotards. 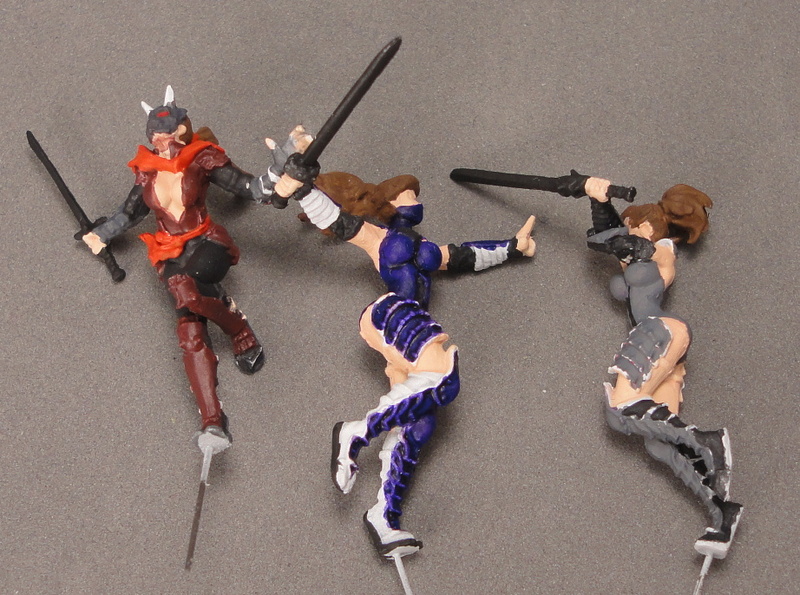 #3 actually has black tights on – I need to redo her legs. 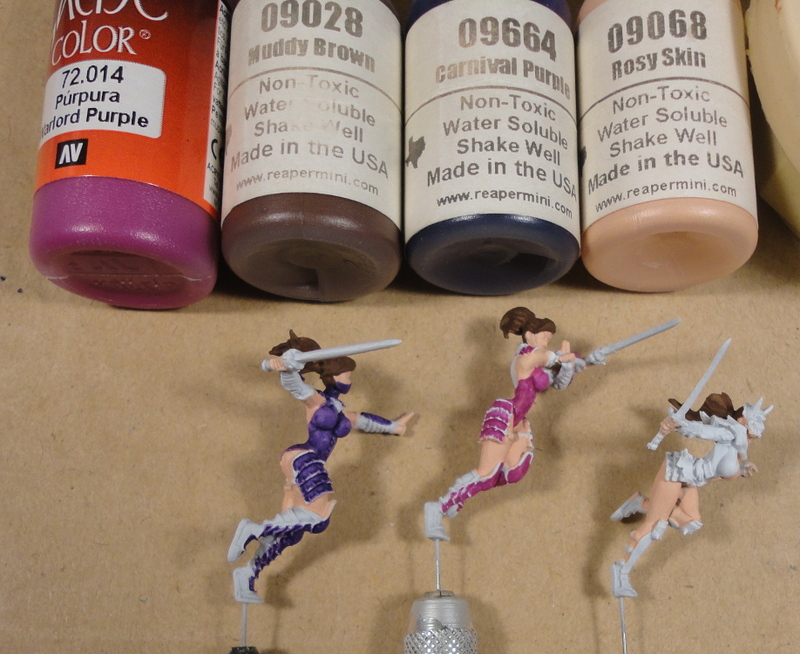 I am going to pull away from the Rosy triad towards Fair or Tanned skin, but I thought that would make a good base coat.